From shipping containers to stadiums. Shipping containers are dropping anchor in unlikely places. In city centres, for example, an increasing number of developers are turning to these versatile steel boxes to create retail space. El Paso, on the outskirts of west Texas, is undergoing just such a transformation. Thanks to local architecture firm Root Architects, a shopping centre built primarily out of shipping containers is currently under construction in the city’s Pebble Hills area. The new centre, which is expected to open later this year, will be home to several shops, restaurants and bars, and a gym, according to reports. The Texan city is no stranger to quirky shopping centres, though. In 2014 TI:ME at Montecillo – also designed by Root Architects – opened its doors. The centre includes a number of retail spaces and restaurants, and was also partially built using reconditioned shipping containers. A year later, The Coffee Box, which was constructed using just two containers, opened in the downtown El Paso area. This concept isn’t just contained to El Paso, however. In London, a number of shipping container shopping centres already exist. 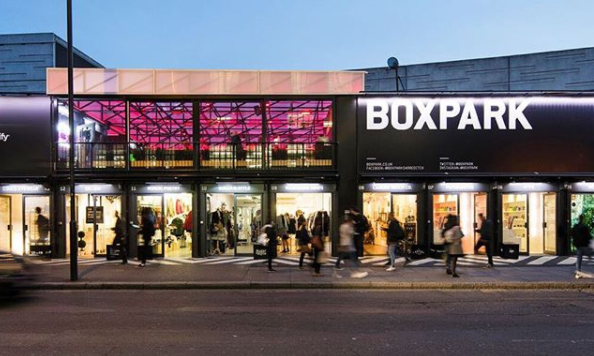 The Boxpark project, conceived by fashion label entrepreneur Roger Wade, is a pop-up-style shopping centre designed to offer affordable retail space to small and independent businesses. The first iteration of this revolutionary project – constructed entirely from refitted shipping containers – was launched in the capital’s Shoreditch area in 2011. By 2016, Boxpark had opened a second space, in Croydon, in the south of the city. Boxpark Croydon was designed by architecture firm BDP, which has also been commissioned to develop a third site in Wembley, north London. The architects of Boxpark Wembley, which is expected to open later this year, aim to establish it “as part of the growing developments in the area and provide an alternative place to eat, drink and play,” according to Wade. It will also sit alongside the home of English football, Wembley Stadium. Shipping containers will get even closer to the action at the 2022 FIFA World Cup in Qatar. A purpose-built 40,000-seater stadium, on the shores of Doha, is under construction and has these containers at its heart (see video). The Ras Abu Aboud stadium “features a bold and innovative design concept unique to any World Cup stadium ever made,” according to FIFA. FIFA says that once the tournament finishes, it has the capacity to be disassembled and reconstructed on another site or turned into multiple smaller venues. The Supreme Committee for Delivery & Legacy, which is responsible for delivering the infrastructure required to host the 2022 Qatar World Cup, hopes this sustainable approach will become a blueprint for future “mega-event planners”. Refurbished shipping containers are also being used to help children from some of the world’s poorest countries. In 2011, Samsung launched the Solar Powered Internet School, an initiative designed to increase access to education in remote and rural areas in Africa and improve access to electricity. Each school, which can accommodate up to 21 pupils, is built inside a large shipping container, and is designed for energy-scarce environments, harsh weather conditions, and for transportation over long distances. 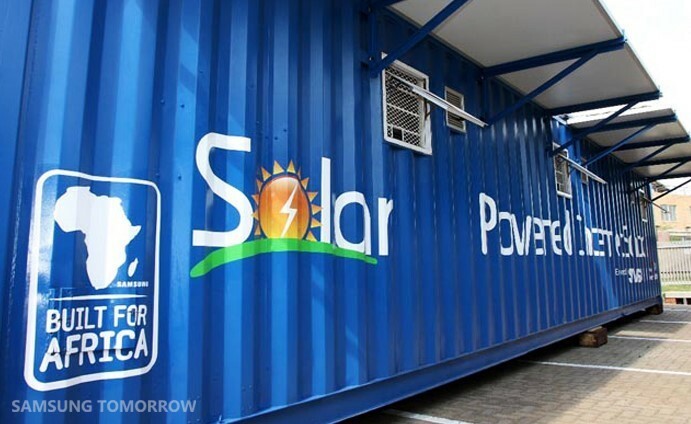 The containers are fitted with fold-away solar panels, which Samsung claims provide enough energy to power the classroom’s equipment for up to nine hours per day.